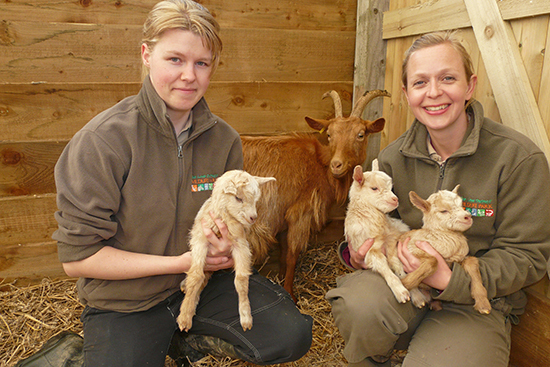 There’s great expectations and Easter excitement as spring babies are born at the Lake District Wildlife Park. So far, three sets of births are all from rare farm yard species – there are three new Golden Guernsey goat kids, Bagot kids and Tamworth piglets – all signalling the start of what is expected to be a busy season for births at the park. Easter is always an exciting time, heralding spring and the imminent arrival of new babies. The keepers have their fingers crossed for goslings to hatch, with the birth of baby lemurs and more goat kids and Zebu calves anticipated in the coming weeks. Gerti the Guernsey Goat and her new kids are easy to spot in the covered area and the piglets are keeping warm undercover too. Also expected to be a fascination with young visitors this Easter, are the numerous rabbits and guinea pigs which are cute for cuddles. Two new male guinea pigs have just been introduced and Vicky has plans to breed with two of their females named Quarts and Precious “ it’s a great opportunity to keep growing our guinea pig muddle (group) and children really love to see the youngsters growing”, said Vicky. Also expected to be a fascination with young visitors this Easter, are the numerous rabbits and guinea pigs which are cute for cuddles. 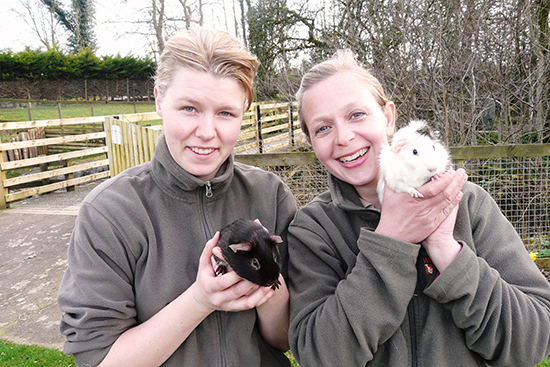 Two new male guinea pigs have just been introduced and Vicky has plans to breed with two of their females named Quarts and Precious “ it’s a great opportunity to keep growing our guinea pig muddle (group) and children really love to see the youngsters growing”, said Vicky.